Walter Sickert's creepy painting titled "Jack the Ripper’s Bedroom" hangs in England’s Manchester Art Gallery. Wikimedia CommonsWalter Sickert; his Persuasion painting. Created in 1907 by Walter Sickert, Jack the Ripper’s Bedroom is a painting that hangs in England’s Manchester Art Gallery. 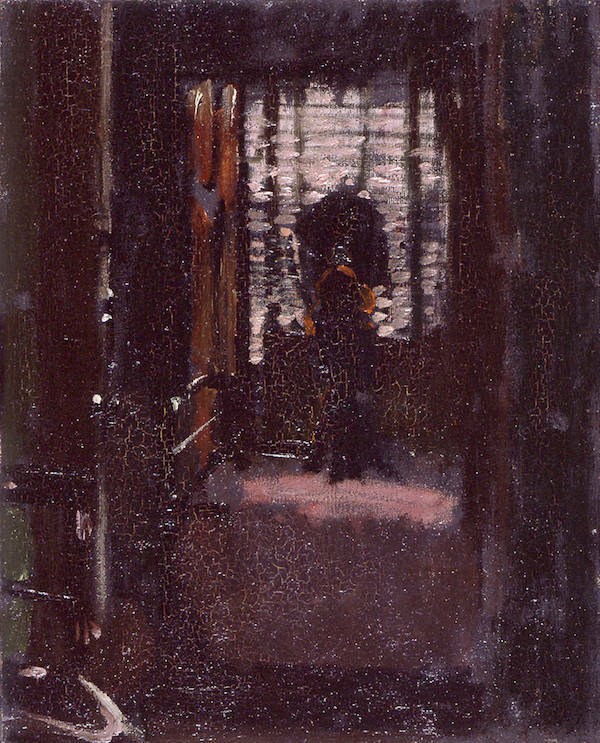 From the perspective of an open doorway, the painting, shrouded in shadows, depicts a dark room with indistinct furniture barely made out through filtered window light. An English painter and a founder of the Camden Town Group, a group of Post-Impressionist artists, Sickert was considered an important influence on avant-garde art and made a name for himself in Victorian London. He was an eccentric man and his work was often mysterious and ghoulish. At the time, his personality and eerie paintings simply defined the cutting-edge artist he was. 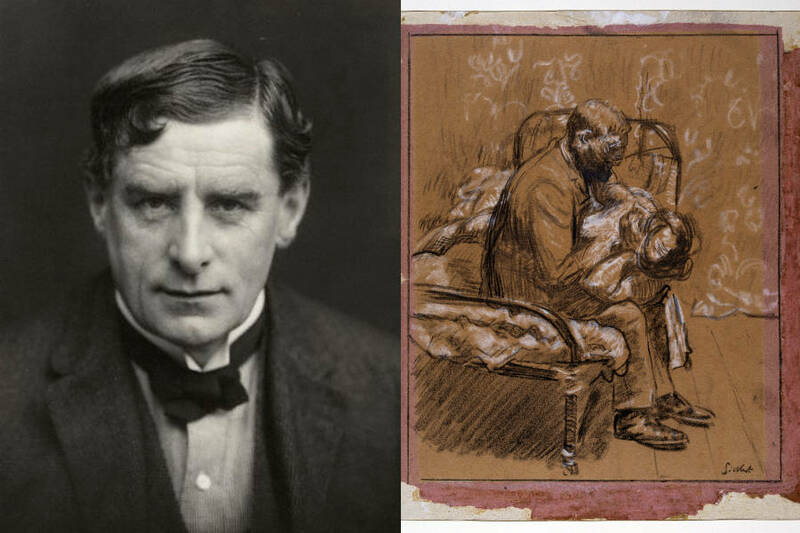 But decades later, a deeper look at Sickert gave rise to the possibility of another identity — that of the person whose bedroom Sickert painting all those years ago: Jack the Ripper. In 1882, Sickert moved to London and became the apprentice and assistant to James Abbot McNeill Whistler, an artist Sickert greatly admired. While working under the Whistler, Sickert began creating more work that portrayed the seedy, unglamorous nature of everyday life in the dark corners of London. Through the late 1890s, Sickert continued to paint scenes of London’s working class. Later on, these grittier pieces served as a jumping off point for people to link Sickert to Jack the Ripper. It wasn’t a secret that Sickert was fascinated with Jack the Ripper’s murders. When he moved to Camden Town in the early 1900s, he painted Jack the Ripper’s Bedroom after his landlady told him that the Ripper was the previous tenant of the room he was staying in. Wikimedia CommonsJack the Ripper’s Bedroom by Walter Sickert. In September 1907, while Sickert was still living there, Emily Dimmock’s mutilated body was found in her bed in Camden. Her murder became known as the Camden Town Murder and Sickert created several paintings and drawings related to it. 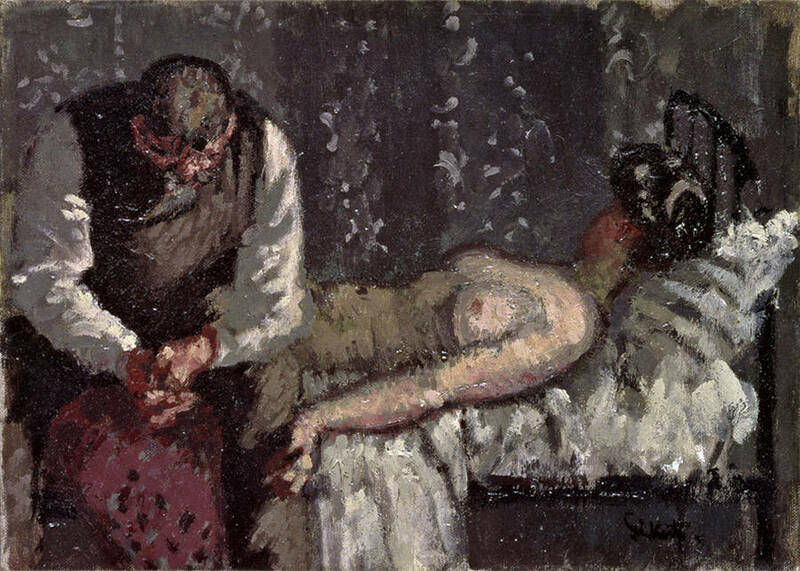 The work caused controversy in the media, but also solidified Sickert’s status as a leading realist painter. In 1920, Sickert’s wife died. She was a student of his who was 18 years younger than him. Her death took a toll on him, with his behavior becoming progressively more erratic. In 1926, his mother died, which allegedly sent him into a full-on depression. He moved to Bathampton, Bath in 1938 and died there on January 23, 1942. At that point, he was only remembered as a prominent modernist painter. During Jack the Ripper’s murders, Sickert was 28 and a little under 6 feet tall. He had light brown hair, a light complexion, and a mustache. It was close to descriptions that had been given of infamous serial killer, but nobody then gave a thought to Sickert in connection with the shadowy killer. The first time Sickert was mentioned in relation to Jack the Ripper was decades after his death, in the 1970s, when the Royal Conspiracy Theory emerged. The radical theory suggested that the Whitechapel Murderer was a member of the Royal Family. In this theory, Sickert isn’t the murderer himself, but an accomplice to the crimes. The book by Stephen Knight, Jack the Ripper: The Final Solution, said that Sickert was forced into being an accessory to the murders by the Royal Family member. In the 1900s, Sickert moved from a supporting role in the Ripper murders to the main character. Jean Overton Fuller released a book, Sickert and the Ripper Crimes, and drew on evidence that was given to her mother by Florence Pash, who was a colleague of Sickert’s. In her old age, Pash had confided in Fuller’s mother, telling her she had kept the secret that Sickert was the true identity of Jack the Ripper. Fuller also used clues in Sickert’s artwork to support the idea. Wikimedia CommonsWalter Sickert’s The Camden Town Murder. 1908. But the theory that Walter Sickert was the man behind the Ripper murders didn’t fully pick up traction until well-known crime author Patricia Cornwell published her book Portrait of a Killer in 2002. 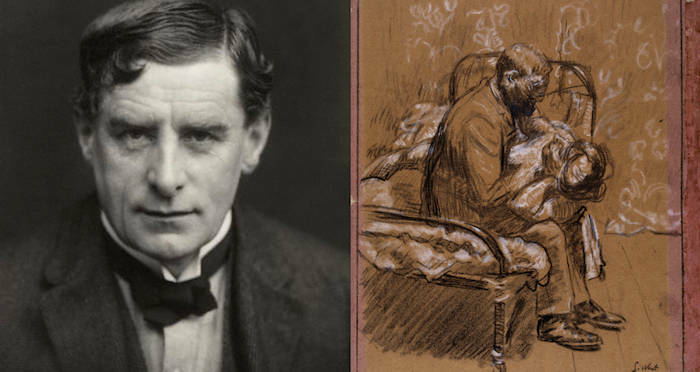 Adding to the spotted “clues” in his paintings, Cornell used additional evidence to show that Sickert had the personality and psychology of a serial killer. She even called on a team of forensic experts to analyze the Ripper letters for DNA matches and claimed to find mitochondria DNA that linked at least one Ripper letter to Sickert. Despite skeptics, Cornell didn’t let go of the theory. As recent as 2017, she said she was “more sure than ever” of Sickert’s involvement in the infamous murders, as scientific analysis showed that the paper he used was the same used in some of the mocking letters the Ripper supposedly sent to the police. Three Sickert letters and two Ripper ones came from a paper run of just 24 sheets. Cornwell also believed he continued to kill and had murdered as many as 40 victims. Many historians discount claims that Sickert is a suspect in the Jack the Ripper Murders. But like so many of the theories that surround the unsolved mystery, believers of a particular theory will go to any length to prove that they are the ones who have finally cracked the case. After learning about the evidence that points to Walter Sickert being Jack the Ripper, read about Jamees Maybrick, another Jack the Ripper suspect. Then read about five most likely Jack the Ripper suspects.